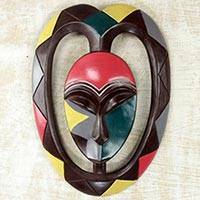 Hand Carved Sese Wood Mask Decorated With Paint and Aluminum, "Queen on the Wall"
The observant and inviting features of this mask are highlighted by an awesomely colored border. 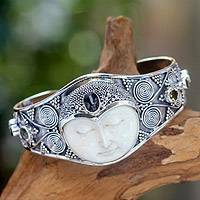 The mask's forehead is adorned with a crown of embossed aluminum that brings together majesty and elegance. 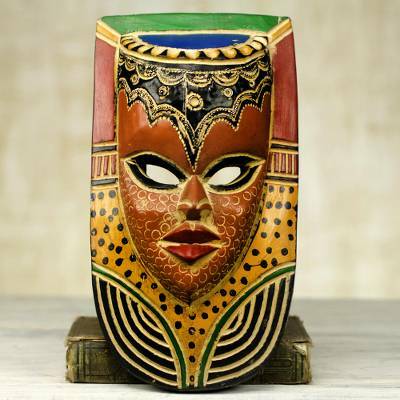 Ghanaian artisan Abdul Aziz Mohamadu hand carves this mask from sese wood before painting and decorating it.